Generally, volunteers work together in pairs. Pastry and coffee available are CHECK IN on corner of Central and Buchanan. Security check in is 7:30. Check in for most others is at 8:30 am. See details below Judging starts at 9 am for floats, cars, and bands and stops at 11. 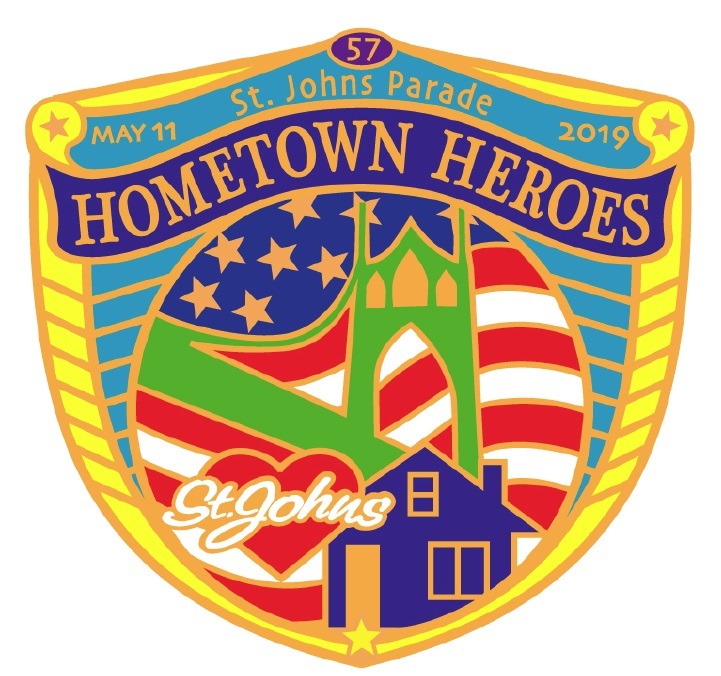 All volunteers are invited to luncheon after the parade. Be sure to collect luncheon ticket at check in. Role – Be stationed at the barricades - 2 people per post in the staging area. Stay on the post making sure no automotive traffic passes though and directing people to the right locations.Need to carry a map of the parade staging area and can bring their own chairs. Wear volunteer badges. Check in – 7:30 am at the booth on Buchanan and Central. Coffee and donuts will be available. Role – Be ready to walk the parade route as soon as people start moving out. Bring your own gloves and follow the parade. There is no need to pick the trash between Levitt and Baltimore on Lombard since The St. John’s Bizarre takes care of it. Role – Need some experience in marching and in music. Judge the bands before the parade begins and hand the ribbons. Check in – Need to Check in at Buchanan and central - 9 am. Role – Load up a truck on the night before or on Saturday morning from the St. John’s church with the boxes, chairs and tables, tents, bins and drop that off as early as 7:00 am in the morning. Positions not listed on the volunteer registration page are not needed this year. Parade committee carries phones. Key telephone numbers are on the back of your lanyard. Please call during the event if you have any questions or concerns.